Of any of the Beatles’ solo careers, George Harrison’s is, for many fans, the most beloved. On what would have been George’s 74 birthday, we revisit our October 2015 feature digging into his essential back catalogue album by album. You should also check out our George Harrison Legends playlist and our feature story on George’s post-Beatles career Jeff Slate. 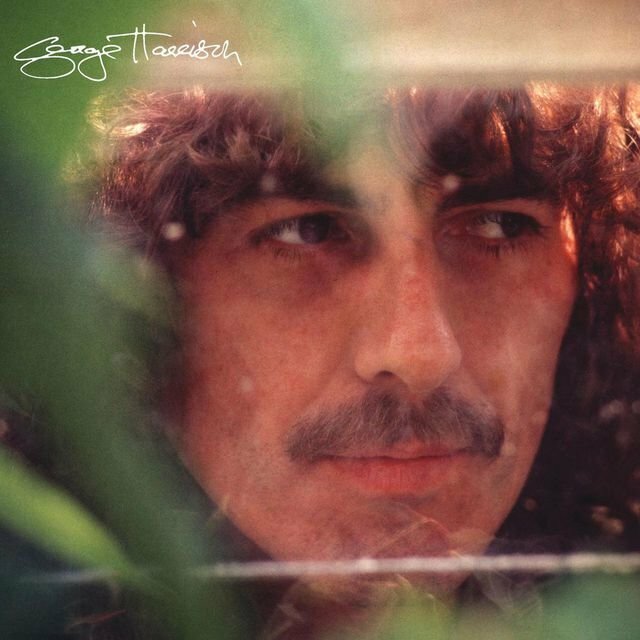 George Harrison’s first two solo albums were released prior to the Beatles ultimate dissolution in 1970, and both are somewhat left-field affairs compared to his more post-breakup solo LPs. Recorded as a companion to 1968 film Wonderwall starring Jane Birkin and Jack MacGowran, Wonderwall Music was the first solo record by a Beatle and the first full-length album released by Apple Records. 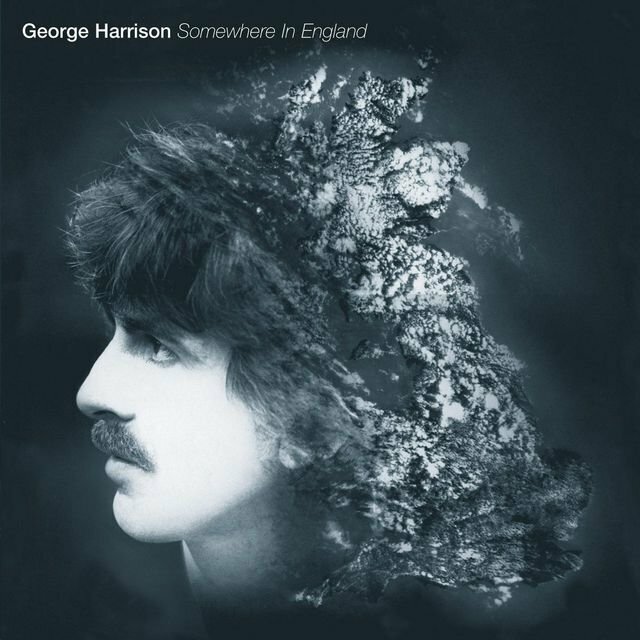 Split between recording sessions in London and Bombay (where the Beatles transcendental B-side “The Inner Light” was also birthed), the album is very much a sonic patchwork Beatleseque rock instrumentation and Indian classical music, which Harrison was outspokenly interested in since David Crosby turned exposed him Eastern music in 1965. The theme of contrasting worlds is quite literally played out on both the album cover and in the film itself. Having held his own on the sitar since he incorporated it on Rubber Soul’s ”Norwegian Wood,” Harrison collaborated with major Indian musicians of the time, like Aashish Khan and Shivkumar Sharma, as well as getting the likes of Eric Clapton, Ringo Starr, Peter Tork (The Monkees) and Tony Ashton (the Remo Four) to sit in for the sessions. 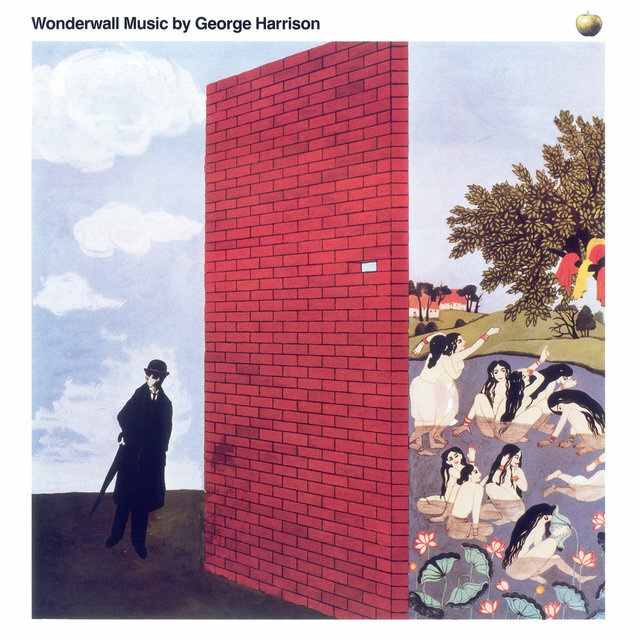 Wonderwall Music is almost entirely instrumental, with the exception of the experimental spoken-word collage “Dream Scene,” which is credited as a precursor to “Revolution 9″ which John Lennon recorded several months later. The album’s title is also said to have inspired the iconic Oasis hit “Wonderwall,” which is somewhat ironic after, in 1997, Harrison famously called the britpop headliners “not very interesting,” and predicted they, along with U2 and the Spice Girls, would not be remembered in 30 years. Following John Lennon and Yoko Ono’s Unfinished Music No. 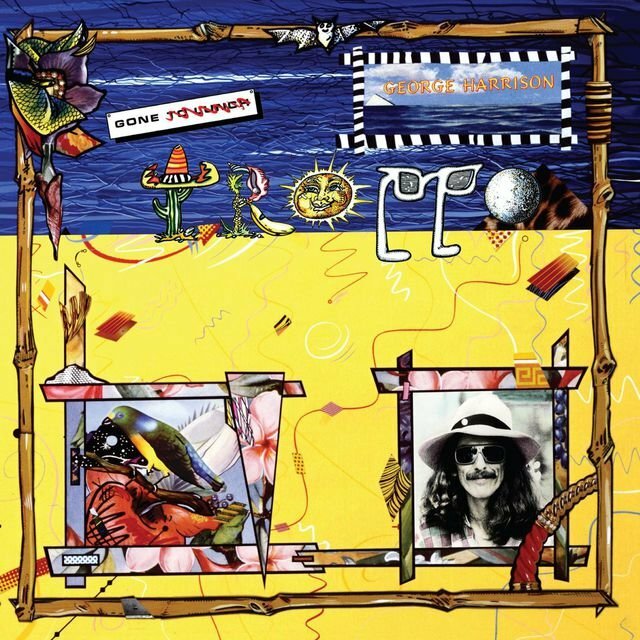 2: Life with the Lions, George Harrison’s Electronic Sound was the second and final album released on the Apple Records imprint Zapple, which was designated for avant-garde releases. True to that mantra, the album is largely the product of Harrison’s experiments with the then-new Moog synthesizer, which Harrison bought directly from Robert Moog himself. 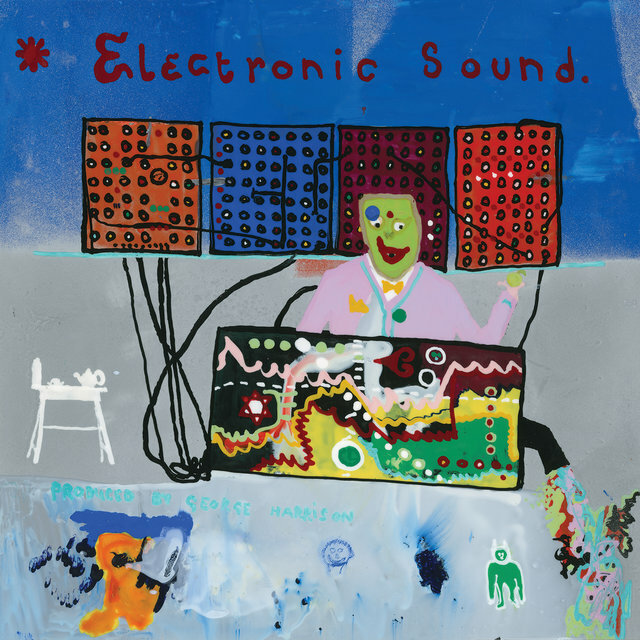 Composed of two side-length tracks – ”Under the Mersey Wall” (18:41) and “No Time or Space” (25:10) – the record sounds more like the bubbling laboratory of a sonic mad scientist than highly-listenable music, and many critics have cited its greater interest as an artifact of early synth experimentation, rather than noting its musical qualities. 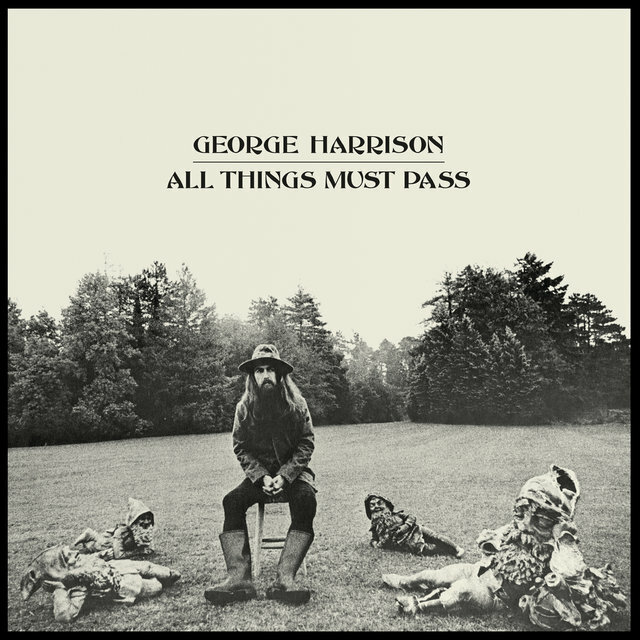 For intents and purposes, George Harrison’s true solo career began with All Things Must Pass. The epic triple album was a massive statement for his first post-Beatles record – and one could say, having frequently played a supporting role to the already legendary songwriting duo of Lennon-McCartney, George had a little more to prove. Invigorated and inspired by his late-’60s songwriting sessions with Bob Dylan and the Band, his brief tour with Delaney & Bonnie and Friends (with Eric Clapton), and his work with Apple signees like Billy Preston and Doris Troy, Harrison was perhaps the most ready to strike out on his own when the Fab Four finally called it quits. As such, the album is a brilliant, effervescent effort from a long-suppressed songwriter and musician who had finally gotten the chance to spread his own wings. All Things Must Pass would establish the prominent slide guitar work that was henceforth a vital element of Harrison’s signature sound – along with his lyrical penchant for spiritual themes. George shared co-production duties alongside Phil Spector, whose famous “Wall of Sound” may have never been better executed. Enlisting an A-list of backing musicians including Eric Clapton, Ringo Starr, Billy Preston, Badfinger and members of Delaney & Bonnie and Friends (who, with Clapton, actually formed Derek and the Dominos during recording). Not only is All Things Must Pass widely accepted as Harrison’s highest solo achievement – most also rank it as the greatest post-Beatle record of all. 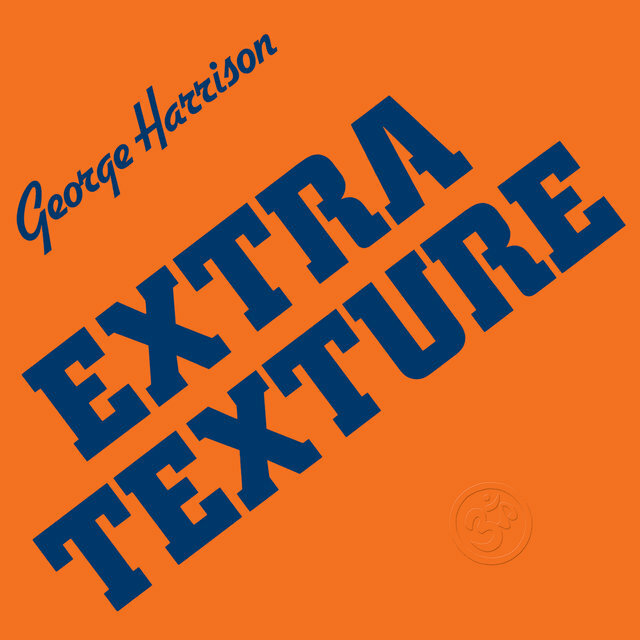 Following the massive success of All Things Must Pass, and his famously-billed Concert for Bangladesh charity event in 1972, expectations were sky high for Harrison’s fourth (and second proper) studio album. This perhaps explains why it didn’t get the kind of glowing reception it deserved. Though some didn’t find it on par with its bombastic predecessor, especially at the time of release, history would find Living in the Material World as another masterful album featuring some of the finest singing, songwriting and guitar-work of Harrison’s career. As was Harrison’s desire following a conflict with Phil Spector, the album is more stripped back in production (though Phil Spector still showed up on “Try Some, Buy Some”). In contrast to All Things Must Pass, the cast of players is small, the sound is intimate, and the subject matter personal and well-steeped in George’s Hare Krishna beliefs. In other words, it wasn’t the pop album many folks were expecting or hoping for. The album’s deeply confessional lyrics are much more soul-searching than its predecessor, addressing George’s inner struggles with fame and spirituality. Title track “Living in the Material World” and opener “Give Me Love (Give Me Peace on Earth)” – arguably the albums strongest cuts – tell of a man trying to find a righteous path in the face of great wealth and temptation. Songs “The Light That Has Lighted the World”, “Who Can See It” and “Be Here Now” profess Harrison’s yearning to shed the unshakable celebrity his former band gave him, while “Living in the Material World” and “Sue Me, Sue You Blues” directly address ongoing issues with the Beatles. As the years have progressed, Living in the Material World has increasingly grown in recognition – to the extent that many fans today cite it as their favorite George Harrison album. Dark Horse was an album marred by unfortunate circumstances. Created in surely the most painful period of Harrison’s personal life – namely his first wife, Pattie Boyd, leaving him for his best friend, Eric Clapton, combined with a substance abuse and a crisis of faith – the album received the lowest marks of his career. More upsetting to fans than the album itself, was Harrison’s U.S. tour in support of it, which he co-headlined with friend and mentor Ravi Shankar. Being the first American tour by any Beatle or the group since 1966, spectators and critics were blushed with Beatles nostalgia, and disappointed to instead get a a split bill with Shankar. 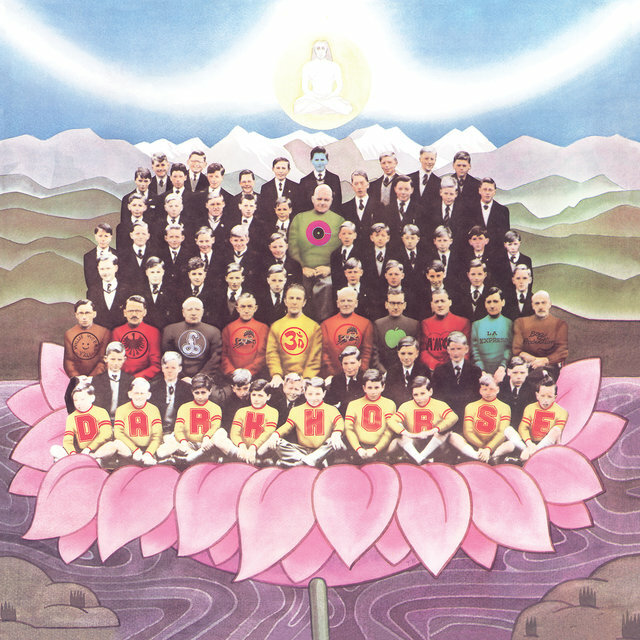 But like many overly-anticipated events, time would reveal Dark Horse’s qualities, such as on singles ”Dark Horse” and “Ding Dong, Ding Dong.” With newfound elements of funk and soul, the record is chuggingly up-tempo, whether or not George was at the time. The record also coincided with the foundation of Harrison’s Dark Horse Records label. Just 9 months behind Dark Horse, Harrison hastily released Extra Texture (Read All About It) with his home life still healing and his public image a further stung by it’s predecessors bad reception. To fit his low state, the record is somewhat melancholic in tone, but also firmly in search of redemption. In the line of Dark Horse, it departs further from Eastern-influenced folk-rock to a keyboard-heavy Motown-inspired soul sound. Lyrically, it’s Harrison’s only album devoid of spiritual subject matter. Hit single, “You,” was recorded with Phil Spector, and ”Can’t Stop Thinking About You” and “Tired of Midnight Blue” are also high points. 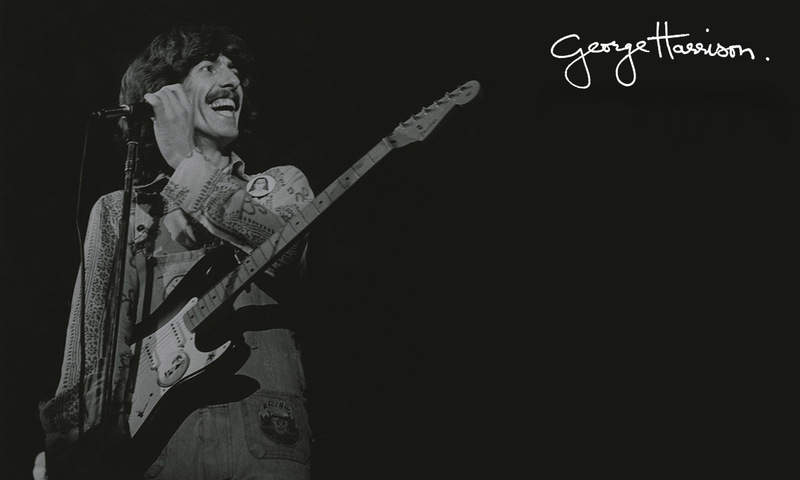 “This Guitar (Can’t Keep from Crying)” was both a sequel to “While My Guitar Gently Weeps” and an upheaval to his critics. Though Extra Texture lacked full realization, it showed George resolute in his fighting stance. 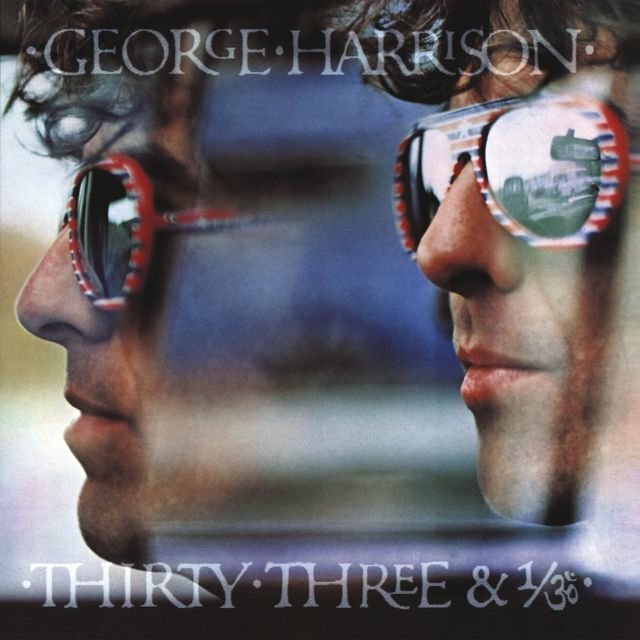 Thirty Three & 1/3 was George Harrison’s first album release on his own Dark Horse Records label. Founded in 1974, Dark Horse allowed Harrison to focus on his solo career while supporting the projects of other artists as well, most notably Ravi Shankar – one of Harrison’s biggest influences – and Splinter, a two man vocal group from South Shields, England who provided the label with its first significant commercial success. The recording of the album took place at Harrison’s Friar Park home studio, and perhaps as a result, a homelike, relaxed and unpretentious atmosphere seeps into the ten songs. Listening to tracks like “Woman Don’t You Cry for Me,” “This Song” and “Crackerbox Palace” you simply get the feeling that these are songs recorded by a bunch of friends having fun in the studio together. The list of musicians included drummer Alvin Taylor, keyboard players Richard Tee and David Foster, jazz percussionist Emil Richards, bassist Willie Weeks and regular Harrison associates Gary Wright and Billy Preston. When George Harrison’s eponymous eighth album was released in 1979, critics largely hailed the album as one of Harrison’s finer works, calling it his best since All Things Must Pass, to which Harrison in an interview with Rolling Stone Magazine replied, “Well, I hope it does as well as All Things Must Pass. I think this album is very pleasant.” And pleasant it is. The album flows and glides like a river on a sunny day – gentle, soft and sparkling with light and warmth. The delightful and mid-tempo opening track “Love Comes To Everyone” sets the scene. “Not Guilty” – a song Harrison wrote in 1968, following the Beatles’ famous transcendental meditation course in India – is a soothing and mellow soft rocker. B-side opener “Faster” sees Harrison paying tribute to one of his biggest personal interests: racing and especially Formula One. The result is an fast rocking tune with a gorgeous melody. And on the album’s last track, “If You Believe,” Harrison pays tribute to another one of his influences: the incomparable Phil Spector who produced All Things Must Pass. The driving drumbeat (boom, boom, boom, cha!) is the same Spector employed on perhaps his most famous song: The Ronettes’ ”Be My Baby” in 1963. By the beginning of the 1980s, George Harrison had become increasingly frustrated with the current state of the music industry. It didn’t make things better that his label rejected four songs on his upcoming album (along with the original album art) and refused to release them, claiming they were to “downbeat” to be commercial. Heeding their demands, Harrison went back in the studio and recorded four new songs, with Somewhere In England released in June 1981 – just six months after Harrison’s former bandmate, John Lennon, was shot dead outside of his apartment in New York City. One of the four new songs was a tribute to the late John Lennon. “All Those Years Ago” is a heartfelt and bouncy boogie that featured drumming from Ringo Starr, and overdubbed backing vocals from Paul and Linda McCartney. A touching highlight on an otherwise minor Harrison album. George Harrison’s tenth studio album failed to gain the same attention and critical acclaim that the majority of his previous efforts did. This was at least partially due to the fact that Harrison refused to do any promotion for the album. This resulted in even many die-hard Beatles fans not knowing that a new album had been released – including, as the story goes, that Harrison’s own brother, who at that time worked as a gardener for Harrison’s Friar Park estate, had no idea that George had made an album. While certainly not among Harrison’s most streamlined efforts, Gone Troppo isn’t without its highlights. The title refers to an Australian slang expression meaning “gone mad/crazy,” which turns out to be the perfect description of this collection of trippy, laissez-faire and often quite jolly synth-laden pop songs. A George Harrison who’s gone off the rails? Maybe. But a George Harrison who’s enjoying himself nonetheless. And that’s got to count for something. 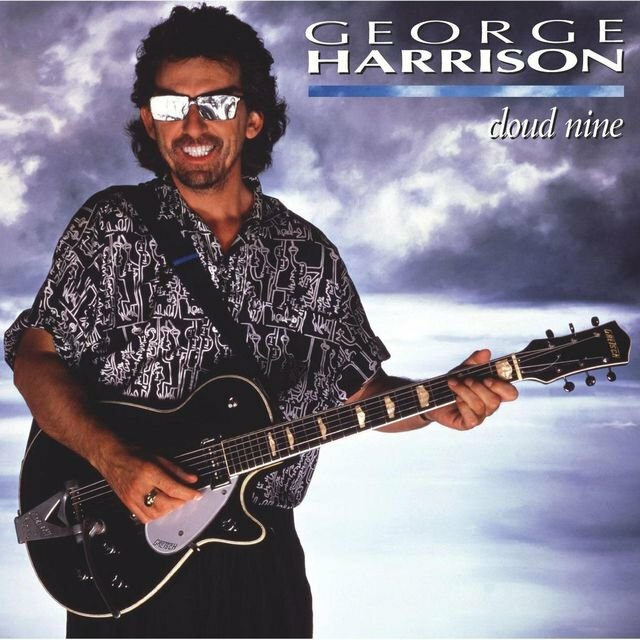 Following a five-year hiatus, Cloud Nine is George Harrison’s lush and triumphant comeback album that proved his talents were far from withered. In their glowing review, Rolling Stone even went so far as to place it on par with Harrison’s 1970 masterpiece, All Things Must Pass, and rightfully so. The album would turn out to be the last studio effort released in Harrison’s lifetime, but it sparked a brilliant collaborative friendship between him and Lynne. In lieu of a tour behind the album, Harrison and Lynne called up friends and fellow rock luminaries Bob Dylan, Tom Petty and Roy Orbison to play some songs together, giving birth to the beloved super-group The Traveling Wilburys, who would go on to record two wonderful albums together. 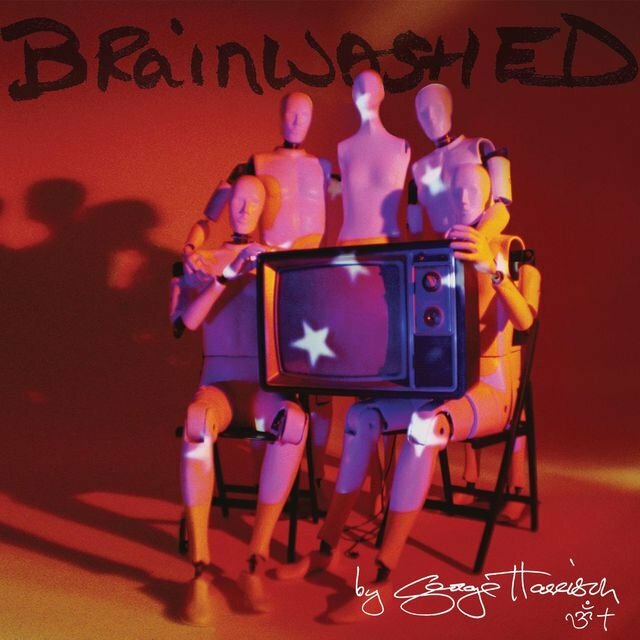 “The best solo record by a Beatle since McCartney’s Flowers in the Dirt.” So wrote Nick Hasted, music journalist at the highly acclaimed Uncut Magazine, when George Harrison’s twelfth and final studio album, Brainwashed, was released following his death a year earlier. Long in the making, Harrison began recording songs that would end up on the album as far back as 1988, continuing his work on the album over the next decade and a half. 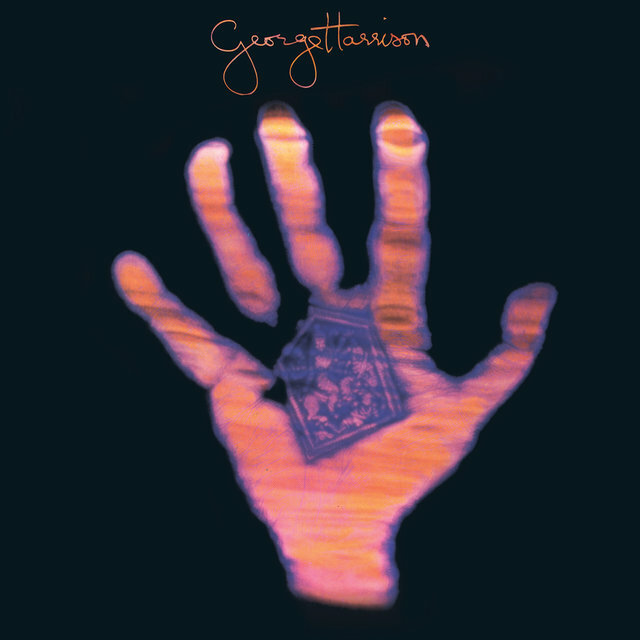 After George passed away on November, 29 2001 his son Dhani Harrison and trusted friend and collaborator Jeff Lynne finished the album together – adding the appropriate instruments to the closed-to-finished recordings and following George’s specific instructions for how he wanted it to sound. Think you know a thing or two about George Harrison? Take our challenging trivia quiz to put your knowledge to the test!